In a Nutshell: Payment cards have lost a lot of their individuality over the last 30 years. Customers don’t have the option to personalize cards the way they did with personal checks. 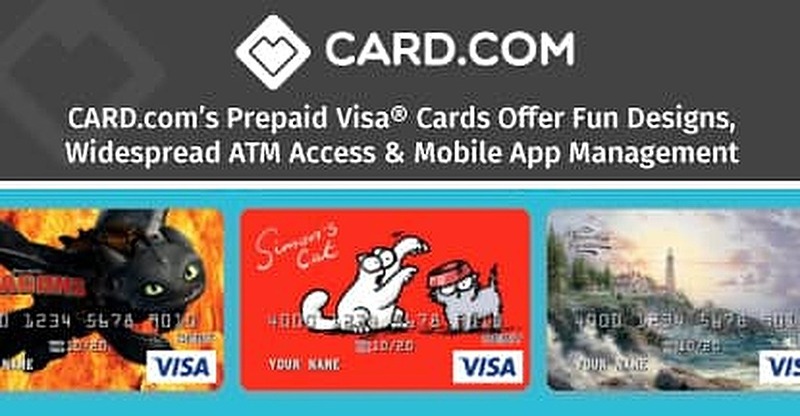 To add some personality to the payment space, CARD.com offers prepaid Visa® debit cards that can be printed with any of the more than 1,000 affinity images — from Betty Boop to your favorite NFL football player. As they are not credit cards, the prepaid products require no credit checks and have no setup or activation fees. The $9.95 monthly maintenance fee can be waived if a cardholder direct deposits more than $1,000 into their card account each month. Other terms and restrictions apply##. Funds can be loaded into the card account electronically, through direct deposit, or at any of the in-person loading stations across the US. And users can have up to three cards per person for one monthly maintenance fee through its new Family of Cards program. 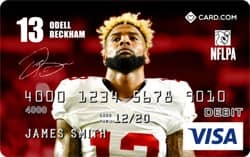 A sample CARD.com Prepaid Debit Card featuring New York Giants Wide Receiver Odell Beckham Jr. In addition to the personalization options and card activation with no required credit check since the card is not a credit card, cardholders may get paid up to two days faster‡ when they direct deposit their paycheck. The $9.95 monthly maintenance fee can be waived if cardholders have more than $1,000 deposited into their card account each month##. 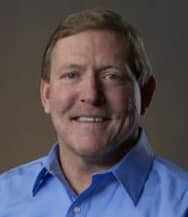 Tim Coltrell, CEO of CARD.com. Drawing on the same technology banks and credit unions use, CARD.com allows cardholders to deposit checks directly onto their card account balance by taking a picture of the check and uploading it through the company’s mobile app. The company responded to consumer demand for the ability to own multiple cards with its latest evolution — Family of Cards. The new program allows a single account holder to have up to three cards in their name for the single $9.95 monthly maintenance fee. Cards can have three different designs and each has the same functionality and perks offered to all the other cards through the company. A lot has changed since the days when I would admire my parents’ check advertisements and dream of my own Ziggy checks. I’ve matured and grown and started a family of my own. Ziggy was my dream as a chile — but the Three Stooges cards on CARD.com are perfect for this adult.